Juventus have confirmed that defender Leonardo Bonucci suffered an ankle injury in Sunday’s 2-1 win at Lazio. 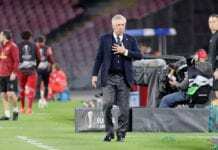 The Italian centre-back, who returned to Juventus last summer after a season away at AC Milan, started on Sunday evening at the Stadio Olimpico in Rome. 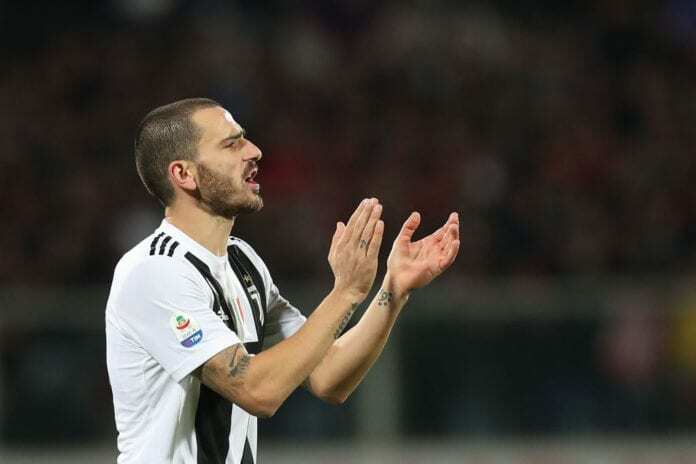 But Bonucci was only able to play until the 41st-minute of the Serie A game against Lazio after getting hurt during the early stages of the encounter. Manager Massimiliano Allegri replaced Bonucci with captain Giorgio Chiellini and later announced that Bonucci had sustained an ankle problem after their 2-1 win. Despite Medhi Benatia being expected to leave, however, Juventus have re-signed Martin Caceres to cover for Bonucci. “Leonardo Bonucci’s ankle is swollen, so we will see, but we have got Martin Caceres coming in. Miralem Pjanic will be back midweek,” said Allegri. Now the Bianconeri have released a medical update on Bonucci that revealed he’s begun treatment on a sprained right ankle. “Leonardo Bonucci suffered a sprained right ankle yesterday, around the joint capsule,” read a statement on the club website. Reports in Italy have suggested that the 31-year-old could be sidelined for a month, which makes him a big doubt for Juventus’ first leg at Atletico Madrid on February 20 in their last-16 Champions League tie. Bonucci has made 25 appearances for Juventus in all competitions this season and even chipped in a goal and three assists for the club. 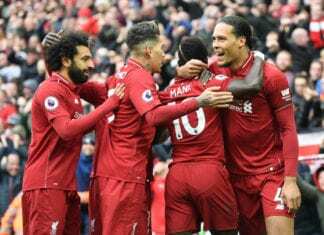 In the game itself on Sunday, late goals from Joao Cancelo and Cristiano Ronaldo were enough to hand Juventus a comeback 2-1 win after Emre Can’s own goal had put Lazio in front. Allegri’s side, who are now 11 points clear of Napoli at the top of the Serie A, will next take on Atalanta on Wednesday in a quarter-final Coppa Italia clash.